This week’s vegetable is zucchini! Zucchini is also known as courgette, and its a summer squash. It can be dark or light green, or a golden colour, which is hybrid zucchini. Technically speaking, zucchini is a fruit (its the swollen ovary of the zucchini flower), but its usually treated as a vegetable. Zucchini is low in calories and contains useful amounts of folate, potassium, and vitamin A. 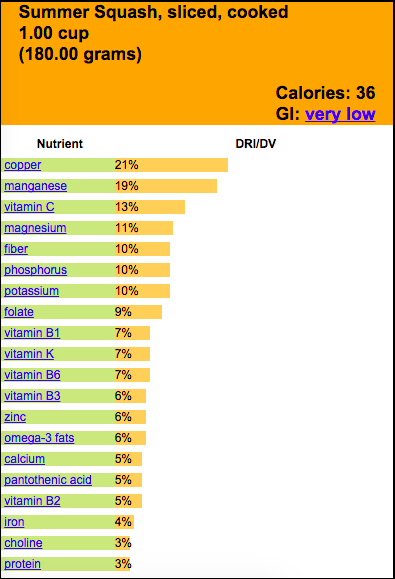 It also is an important food source of carotenoids/antioxidants. Zucchini is an excellent source of manganese and a good source of vitamin C. The carotenoids lutein and zeaxanthin present in zucchini are helpful in protection of the eye, with respect to age-related macular degeneration and cataracts. Zucchini also aids in healthy blood sugar amounts, as well as anti-cancer, and anti-inflammatory benefits. 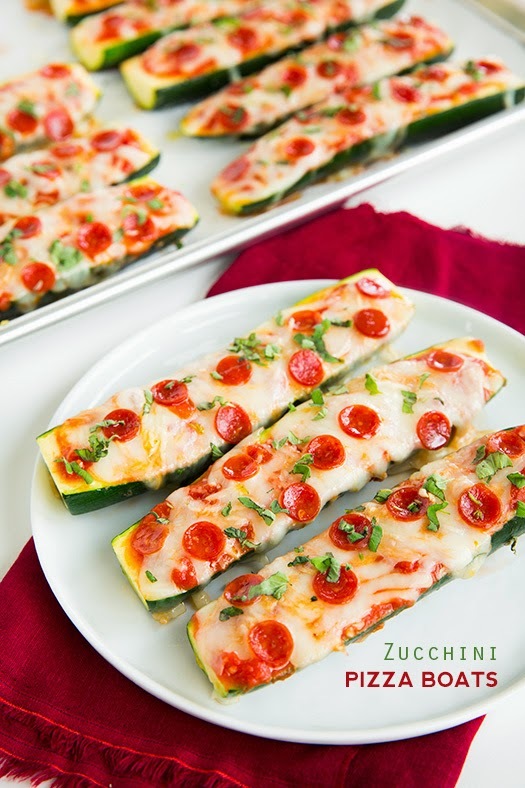 For this weeks zucchini recipe, we decided to share with you two of our favorites. One that is healthy, zucchini pizza sticks, and one that is not so much, chocolate zucchini cake. 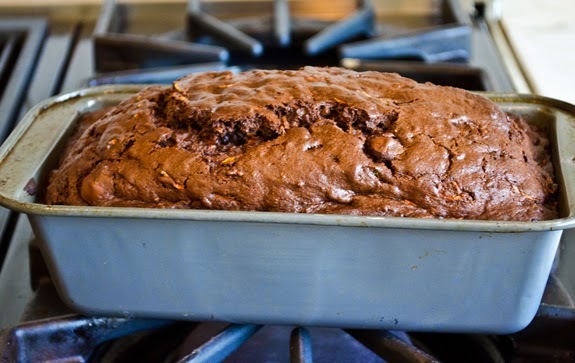 How could you not want delicious chocolate cake that secretly has vegetables in in! Cut each zucchini lengthwise into halves. If they do not lie flat, trim a bit off the bottoms so they will mostly lie flat. Pat the insides of the zucchini dry with paper towels and align on the baking sheet. If you want more toppings, scoop out some of the insides of the zucchini. Stir together the olive oil and garlic, and brush lightly over the tops of the zucchini. Sprinkle the salt and pepper to taste and add 1 tbsp of marinara sauce, evenly coating each zucchini stick. Sprinkle the sticks evenly with the shredded mozzarella cheese, then parmesan cheese. Top with the pepperoni slices. Bake in the preheated oven for 12-18 minutes. Remove from oven and add the oregano on top. *You can add or remove any toppings you want depending on your taste and what you like on the zucchini pizza! Whisk together the flour, cocoa powder, salt, baking powder, baking soda and instant coffee (if using) in a medium bowl. Add to the butter mixture and stir until well combined. It will be very thick. *Theres only 231 calories, 10 g of fat, 33 g of carbohydrates and 21 g of sugar per one slice, so they are THAT bad for you. Just don’t eat it all at once! This week’s vegetable is Swiss Chard! Chard is a leafy green vegetable that is a subspecies of beetroot. The leaf itself is usually green or reddish in colour. The stalks vary in colour, usually its red, yellow, or white. Chard has highly nutritious leaves, having high amounts of vitamin A, K, and C. It is also rich in dietary fibre, protein, and minerals. Swiss Chard contains 13 antioxidant properties, regulates blood sugar levels, and has anti inflammatory properties. 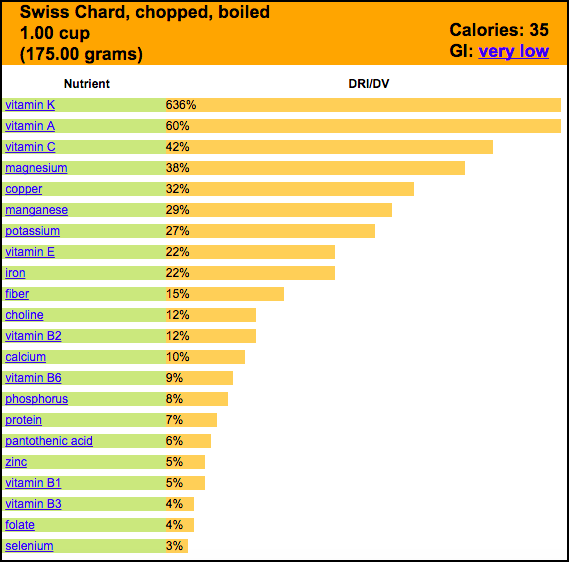 Chard ranks second to spinach with respect of total nutrient-richness. However, Chard has a large concentration of oxalic acid, and is one of only 3 vegetables that are recommended to boil before eating. It is not recommended to eat the stems due to its toughness. 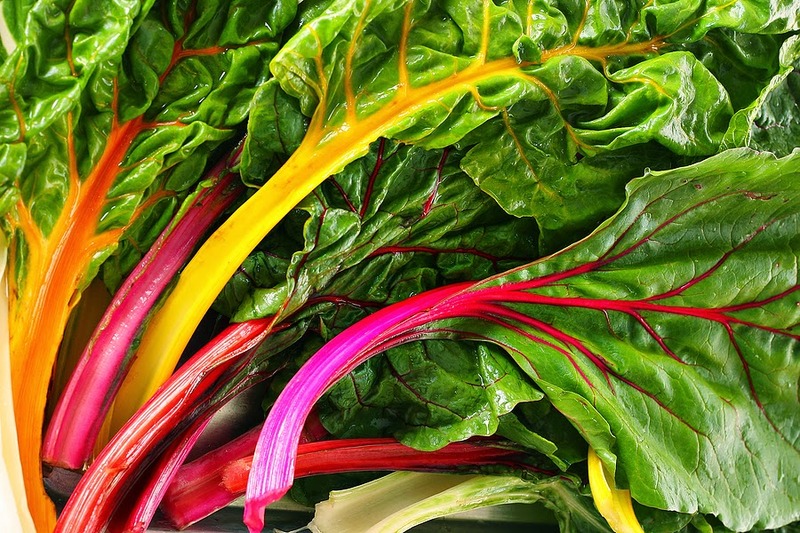 Chard belongs to the same taxonomic family as beets, spinach, and quinoa. The red and yellow pigmentations found in this family contain unique carotenoids, which is linked to our nervous system health. 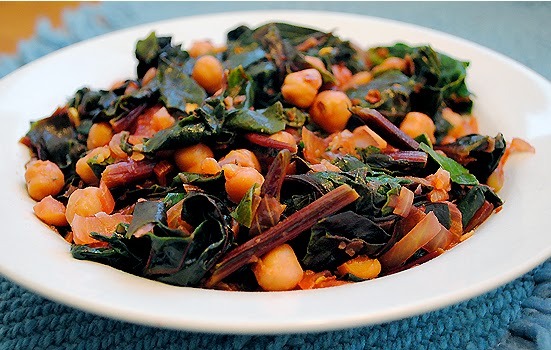 The featured recipe this week is Chickpea and Swiss Chard Curry. This is a nutritious and delicious way to eat Swiss Chard. In saucepan, heat oil over medium heat; cook cumin seeds until beginning to pop, about 1 minute. Add onion and chilies; cook until translucent, about 10 minutes. Add ginger and garlic; cook for 1 minute. Add ground cumin and coriander; cook until fragrant, about 2 minutes. Add garam masala (if using); cook for 1 minute. Add tomato paste, cayenne pepper and turmeric; cook for 1 minute. Add tomatoes and salt; cook, stirring, until softened. Stir in 1-1/4 cups (300 mL) water; bring to boil. Add chickpeas; reduce heat and simmer for 10 minutes. Stir in Swiss chard; simmer until tender, 3 to 4 minutes. Squeeze a bit of lemon juice on top, and serve over rice and enjoy! Add us on Facebook, Twitter, and Instagram!